It’s something I didn’t do in many many years, that’s why I create this post. Just for me to find all the information for the next time when I will have to configure MGCP. AUEP AuditEndpoint CallManager Get the status of a given endpoint. AUCX AuditConnection CallManager Retrieves all the parameters associated with a connection. CRCX CreateConnection CallManager Creates a connection between two endpoints. DLCX DeleteConnection Both From CallManager:Terminates a current connection. From Gateway:Indicates that a connection can no longer be sustained. 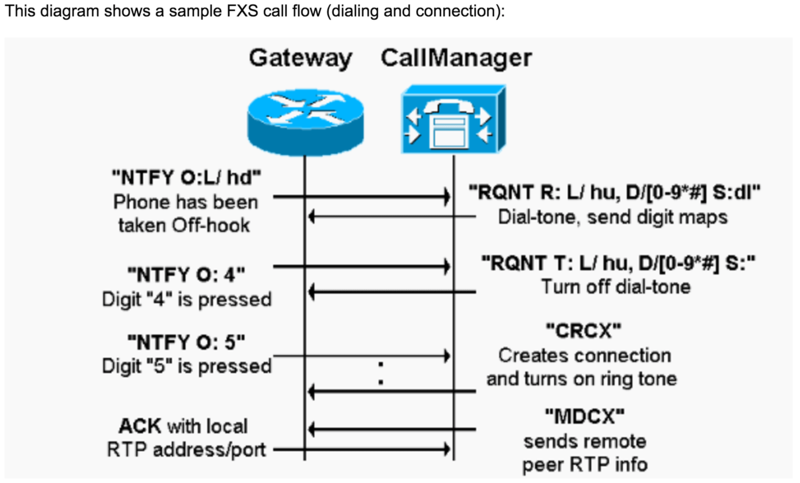 MDCX ModifyConnection CallManager Changes the parameters (Update info) associated with an established connection. 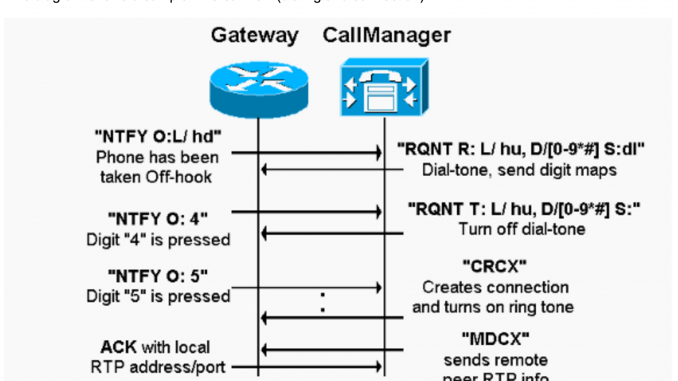 RQNT NotificationRequest CallManager Instructs the gateway to watch for special events such as hooks or DTMF tones. It is also used to instruct the gateway to provide a signal to the endpoint (for example, dial tone and busy tone). NTFY Notify Gateway Informs the Cisco CallManager when requested events occur. RSIP RestartInProgress Gateway Informs the Cisco CallManager that an endpoint or group of endpoints are taken out or placed back into service.